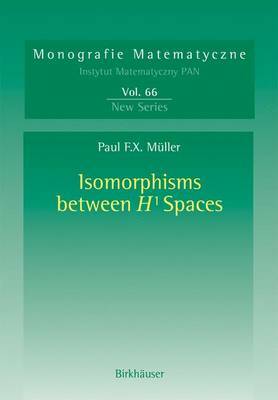 This book gives a thorough and self contained presentation of H(1), its known isomorphic invariants and a complete classification of H(1) on spaces of homogeneous type. The necessary background is developed from scratch. This includes a detailed discussion of the Haar system, together with the operators that can be built from it. Complete proofs are given for the classical martingale inequalities, and for large deviation inequalities. Complex interpolation is treated. Througout, special attention is given to the combinatorial methods developed in the field. An entire chapter is devoted to study the combinatorics of coloured dyadic Intervals.